Super fun home improvement project for an incredibly talented chef and neighbor. 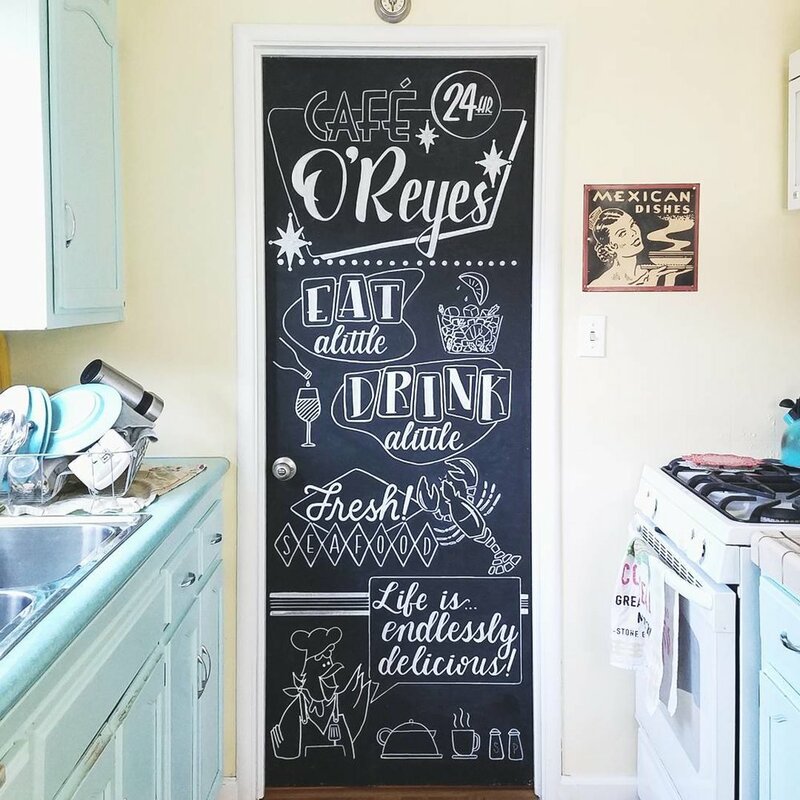 Their entire house has hints of 50's, retro decor and the couple was looking to transform her kitchen door with a custom chalk lettering piece. 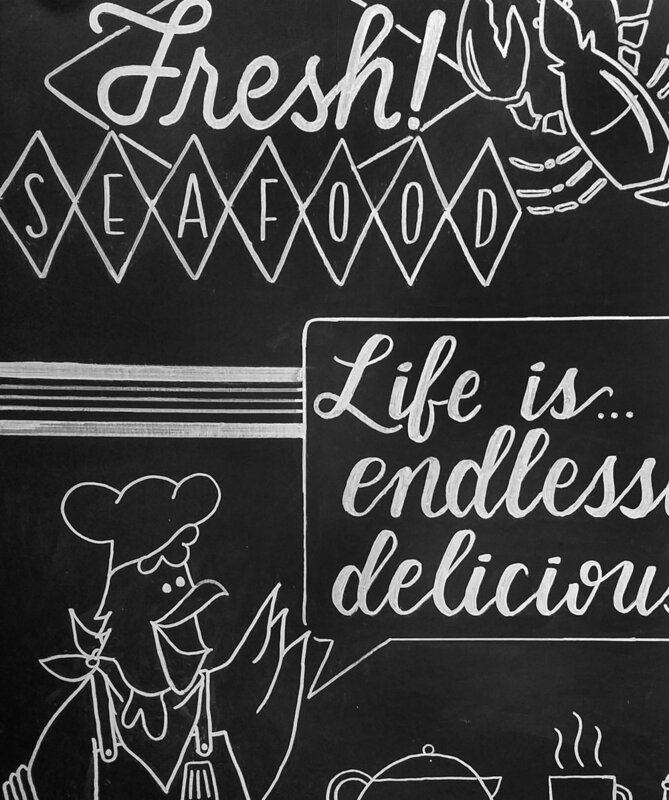 Incorporated elements of 50's-esque typography and seafood illustrations to showcase their specialty dishes.